All Queen’s Maid Cleaning Service employees are uniformed, bonded and insured. Our professionals receive comprehensive training, are well-supervised and are subject to frequent quality checks. Each member of our team is selected following thorough background and reference checks. The same Queen’s Maid Cleaning Service team you will come to know and trust will clean your home or business each time. We will never eat, drink, smoke or use any of your items while in your home. We are honored to be invited into your homes and businesses. All keys are kept safe and secure throughout the cleaning process and any keys kept in our care are specially coded for your protection. A lock box is also available at a small monthly fee. We take extreme care not to damage your property. If something is damaged, rest assured that you are fully protected. Queen’s Maid Cleaning Service will take the necessary steps to repair or replace the damaged item. We have built our client base on the trust and personalized care we have provided over the years. We take on the burden of heavy house cleaning to make your life a little easier. Our goal is to give our customers peace of mind and a little extra time in their busy schedules. As a locally based business, you can be confident that we will offer you or your business the best maid service possible and be immediately available to address any questions or concerns you might have. We appreciate your patronage. Top notch service! 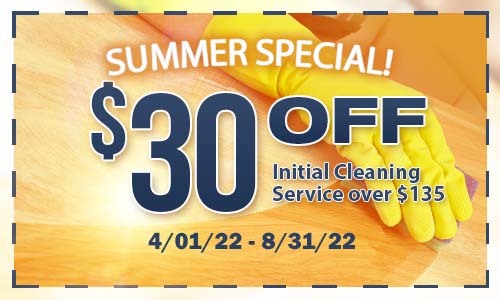 I have been using Queen’s Maid Cleaning Service for over 2 years to maintain my short term vacation rental. They are fast, friendly, efficient, thorough, and easy to communicate with. They always show up on time and when they say they will do something, they do it. I have been working with Queen’s Maid Cleaning Service for several years and have nothing but the highest praise for the exceptional way they go about their work, their professionalism is second to none and will continue to use them for years to come. We couldnt have our vacation home in the sun without Kyle & the team from Queen's Maid Cleaning Service. Professional, dependable and trustworthy. We love this company. We can't recommend Kyle and his crew enough. They are best in class and go above and beyond the normal call of duty. I wished they offered their services in all of the markets we operate in. Kyle’s bonded and insured team provides us the peace of mind that our condo is safe and the trust that all of our contents are secure. I would highly recommend Queen’s Maid Cleaning Service for all of your residential cleaning needs. Queen's Maid Cleaning Service is proud to be a member of the Arizona Better Business Bureau.